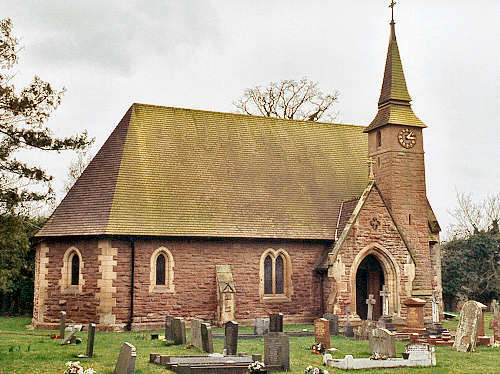 St. John's church was erected in 1874, and was consecrated by the Bishop of St. Asaph on 16 October 1878. At that time, it was a district church within the parish of Hanmer. It replaced a wooden chapel, which had been opened on 12 October 1851. Tallarn Green, in the former detached part of historic Flintshire, became a separate parish, within the Diocese of St. Asaph, on 24 January 1880. The great Welsh poet, R. S. Thomas, was curate of Tallarn Green from 1940 to 1942. The church closed in July 2007.